Do You Have What It Takes to Plan Adventure? Do you have a passion for Disney and/or traveling? Do you have travel experiences? Do you enjoy helping others plan their vacations? Are you a self-starter with a business mind? Do you enjoy being a part of a team and supporting others? If so, we may be a good fit for you! You can apply to become an independent travel consultant or rather “Adventure Planner” with our growing team! Why choose to work with Adventure is Out There Travel? We believe in service over sales. Adventure is Out There Travel, LLC was founded on a belief that clients should have the best individualized vacation. 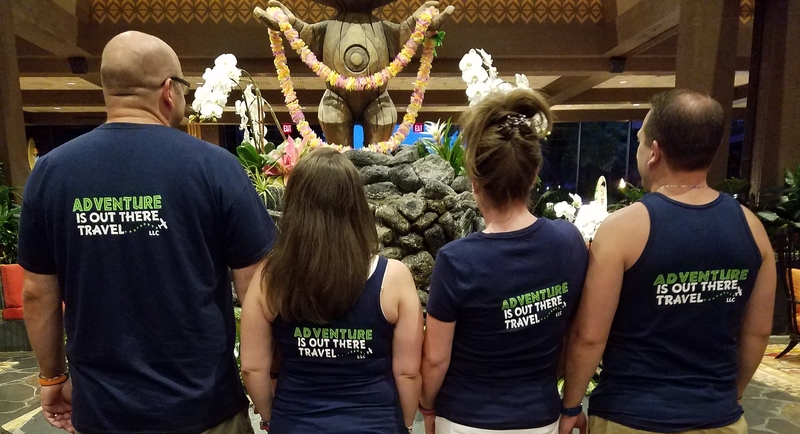 Our team is comprised of individuals who enjoy helping others, are passionate about travel, crazy about Disney, cruising, and vacationing all over the world! We respect your relationships with your clients. Owning your own book of business creates a wonderful feeling of financial freedom! We are proud of our personalized service philosophy. You can earn 100% of the commission on personal travel. We assist with individual Adventure Planner marketing strategies. AIOT is properly credentialed and registered with Disney, Universal, all major cruise lines and travel/tour companies. If you would like to join our team, please complete the form below! What motivates you to become an Independent Travel Consultant?